It’s hard to know what to call F1 test drivers these days as, by and large, they do very little testing (the topic up for discussion in tomorrow’s Scrutineering Bay, we’ll have you know). In the always-confusing world of 2011 they tend to be reserves, ‘third drivers’ or promising youngsters, perhaps even all three. Some can offer genuine advice and opinions on the pitwall (think Nick Heidfeld at Mercedes last year) whilst some are just paying for the right to wear the team’s gear (think Sakon Yamamoto before he upped his investment and bought a race seat at Hispania); some will run in free practice whilst others compete in lower formula; some will one day race in Formula One whilst others will never start a grand prix; some have real talent and some, frankly, don’t. But who are they? Today we’ll be running through the non-racing drivers at Red Bull, Force India, Lotus and Hispania in the first of Badger’s three-part look at Formula One’s men in the shadows. Red Bull are yet to announce a reserve for 2011 and in fairness that’s no big deal. 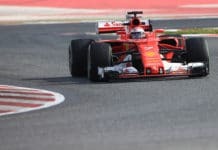 Apart from a bit of simulator work there’s little a third driver could do for the team – after all, neither Seb nor Mark are likely to accept giving up their car in FP1 to allow some rookie to get a bit of tracktime. In the event of one of the Red Bull boys being forced to miss races – something that becomes increasingly likely as Mark Webber continues his monthly 100 mph mountain bike death rides – the team have a few solid options to pick from. Top of the list would be the Toro Rosso boys, as what else is the point of that team if not to provide future drivers for Red Bull Racing? The only problem would be picking which one to give the seat to. It would be like having to choose which sister to take to the dance, subsequently having to watch the face of the rejected sibling sink and tears creep in to her eyes. It would break your heart; poor Sebastien Buemi. 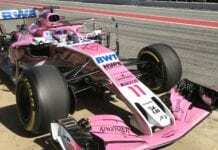 In the past being Force India’s test driver has been a pretty good career move, with both previous incumbents – Tonio Liuzzi and Paul di Resta – eventually being promoted to race drives. Now NIco Hulkenberg takes up the role and, what with the German being far too talented to sit on the sidelines for long, you’d have to say there’s a decent chance he to will step up as well. For now however he’ll remain on the bench, jealously looking over at Pastor Maldonado in the Williams garage whilst team boss Vijay Mallya enjoys having the best third driver in the paddock. It’s long been rumoured that Karun Chandhok will take on the third driver role at Lotus, the Indian having spent time with the team during the Jerez test as discussions continued on a link-up between the two. It would make sense for Karun – Lotus may well put Jarno Trulli out to pasture at the conclusion of the 2011 campaign – and for the team, who would be getting a solid driver with mass appeal in India (a target market Tony Fernandes’ Air Asia brand). We’d love to see Karun get a proper crack at the whip, not least so we could work out whether he’s a decent racer or just incredibly likeable, and hope he’ll get that with Lotus. If he does land the role expect him to run free practice one at the inaugural Indian Grand Prix later in the year – it’s a marketing no-brainer. It’s also worth noting that Tony Fernandes’ new GP2 outfit, Team Air Asia, have two drivers with a smidge of F1 experience and that tech boss Mike Gascoyne has mentioned the possibility of both getting a run in the car. Davide Valsecchi, who tested for Hispania in November, and Brazil’s Luiz Razia, who was Virgin’s reserve in 2010, are both capable racers with some cash behind them and would be decent ‘young drivers’ for Fernandes’ F1 squad. 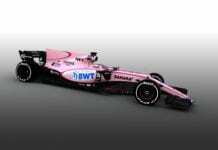 Chances are some desperate dreamer will stump up the cash to be Hispania’s reserve driver this year, but who? Second rate Swiss peddler Giorgio Mondini paid the team a handsome sum to test the nightmarish 2010 car at Barcelona last week and could take the role, though ultimately his total lack of F1 experience and his sub-standard GP2 performances suggest he’d be there solely for his money. Not that Hispania are shy about that sort of thing, aye Narain? Ex-Red Bull man Christian Klien filled the role last year and would be the best person for the job again in 2011, assuming he doesn’t have the money to afford a race seat and isn’t tempted to go back to Le Mans and drive a real racing car for Peugeot. Whilst he’s not the greatest talent of his generation Klien is undoubtedly a very solid and professional racing driver and can offer a great deal more to the team than Karthikeyan – except in the finance department. Inevitably money will continue to talk here and, in truth, it wouldn’t surprise if Giovanni Lavaggi announced he’d be taking the role. Badger’s look at F1’s reserves continues tomorrow, when we’ll take a look at the back-up McLaren, Renault, Williams and Virgin drivers.